Draft: 2013, Oakland Athletics, 1st rd. William Landis McKinney ... Graduated from Plano West Senior High School (TX) where he batted .372 (32-for-86) with 27 runs, nine doubles, two triples, four homers and 17 RBI as a senior ... Committed to TCU prior to signing with the Athletics ... Has been involved in three MLB trades including 13 players ... Ranked by MLB as Toronto's 14th-best prospect heading into the 2019 season. Went 29-for-115 (.252) with seven doubles, six home runs and 13 RBI over his 36 games as a Blue Jay ... Became the 1st player in team history with 3+ HR and 9+ RBI in his first seven games for Toronto ... Recorded nine extra-base hits in his first 15 games as a Blue Jay, tied for 7th most all-time ... Had an 18-game on-base streak to start his Blue Jays career, tied for 2nd longest in team history (Dave Martinez - 24G in 2000; Roy Howell - 18G in 1977) and tied for 2nd longest by a Blue Jay in 2018 (Justing Smoak - 18G & 19G)... The 19-game on-base streak to begin his career was tied for 17th longest in MLB history (last: Daric Barton - 20G from 2007-2008) ... Was assigned to Triple-A Scranton/Wilkes-Barre to start the year ... Was recalled from the RailRiders on March 30 and made his MLB debut that night in Toronto (1-for-4, K)... Recorded his 1st MLB hit in the 2nd inning of Aaron Sanchez ... Landed on the disabled list from April 1-May 23 with a left shoulder sprain ... Was acquired from the Yankees along with 3B Brandon Drury in exchance for LHP J.A. Happ on July 26 ... Went 13-for-64 (.203) with three doubles, two triples, three home runs and eight RBI over 20 games for Triple-A Buffalo (.745 OPS)... Homered in three straight games from Aug. 13-15 ... Was recalled from the Bisons on Aug. 17 ... Made his Blue Jays debut on Aug. 18 at NYY, going 2-for-4 with a walk and his first two Major League RBI ... Hit his 1st MLB home run off Ryan Meisinger in the 5th inning on Aug. 21 vs. BAL... Drove in two more runs for his 1st three-RBI game ... Notched his 2nd HR while going 1-for-1 with a walk and HBP on Aug. 25 vs. PHI ... On Aug. 26 vs. PHI, homered in back-to-back games for the 1st time ... Singled twice and doubled on Aug. 31 at MIA for his 1st three-hit game ... Recorded his 6th home run on Sept. 25 vs. HOU, his 5th at home. Combined with Double-A Trenton and Triple-A Scranton/Wilkes-Barre to hit .277 (122-for-441) with 66R, 29 doubles, 7 triples, 16HR, 64RBI and 39BB in 124 games…tied for fourth among Yankees farmhands in home runs... Began the season with Trenton, batting .250 (58-for-232) with 34R, 16 doubles, 6HR and 29RBI in 69 games…was named Eastern League "Batter of the Week" for the period from 6/12-18... Was promoted to Scranton/WB on 7/1 and batted .306 (64-for-209) with 32R, 13 doubles, 10HR and 35RBI in 55 games, spending the remainder of the season with the RailRiders…was named International League "Batter of the Week" from 7/24-30... Following the season, was named an MiLB.com Organization All-Star... Played for Scottsdale in the Arizona Fall League, batting .279 (19-for-68) with 8R, 5 doubles, 1 triple, 1HR, 20RBI and 11BB in 19 games…was named to the AFL's 2017 Top Prospects Team... Was added to the Yankees' 40-man roster on 11/20/17. Combined with Single-A Myrtle Beach and Double-A Tennessee to hit .300/.371/.454 (113-for-377) with 48R, 31 doubles, 3 triples, 7HR and 64RBI in 106 games…ranked fourth among all Cubs minor leaguers in batting average... Began the season with Myrtle Beach and hit .340 (35-for-103) with 19R, 5 doubles, 2 triples, 4HR, 25RBI and 17BB in 29 games…was named the Carolina League "Player of the Week" for 5/4-10... Earned a promotion to Tennessee on 5/13 and hit .285 (78-for-274) with 29R, 26 doubles, 1 triple, 3HR and 39RBI in 77 games... Following the season, was tabbed an Organization All-Star by MiLB.com and as the No. 7 prospect in the Cubs' organization by Baseball America. Split the season with Single-A Stockton and Single-A Daytona, batting .264 (123-for-466) with 72R, 24 doubles, 6 triples, 11HR, 69RBI and 61BB in 126 games…played in 71G in CF, 36G in RF and 1G in LF... Started the season with Stockton, hitting .241 (70-for-290) with 42R, 12 doubles, 2 triples, 10HR, 33RBI and 36BB in 75 games... Was traded from the Athletics to the Cubs with INF Addison Russell, RHP Dan Straily and a player to be named later or cash considerations in exchange for RHP Jason Hammel and RHP Jeﬀ Samardzija on 7/5... Appeared in 51 games for Daytona and batted .301 (53-for-176) with 30R, 12 doubles, 4 triples, 1HR, 36RBI and 25BB…reached base safely via H/BB/HP in 46-of-51 games…hit .375 (21-for-56) vs. lefties with Daytona... Following the season, was named an Organization All-Star by MiLB.com and as the No. 6 prospect in the Cubs' organization by Baseball America. Made his professional debut with the AZL Athletics and short-season Single-A Vermont, combining to bat .326 (70-for-215) with 36R, 9 doubles, 3 triples, 3HR, 26RBI, 20BB and 8SB in 55 games…hit .387 (24-for-62) oﬀ LHP... Began the season with the AZL A's and hit .320 (58-for-181) with 31R, 7 doubles, 2 triples, 2HR, 20RBI, 17BB and 7SB in 46 games…tied for third in the Arizona League in hits and ranked eighth in batting average... Was promoted to Vermont on 8/28, batting .353/.405/.559 (12-for-34) with 5R, 2 doubles, 1 triple, 1HR, 6RBI and 3BB in nine games... Following the season, was tabbed by Baseball America as Oakland's No. 2 prospect. August 17, 2018 Toronto Blue Jays recalled LF Billy McKinney from Buffalo Bisons. July 28, 2018 Toronto Blue Jays optioned LF Billy McKinney to Buffalo Bisons. May 24, 2018 New York Yankees optioned LF Billy McKinney to Scranton/Wilkes-Barre RailRiders. May 21, 2018 New York Yankees sent OF Billy McKinney on a rehab assignment to Scranton/Wilkes-Barre RailRiders. May 14, 2018 New York Yankees sent RF Billy McKinney on a rehab assignment to Trenton Thunder. May 10, 2018 New York Yankees sent OF Billy McKinney on a rehab assignment to Tampa Tarpons. April 1, 2018 New York Yankees placed LF Billy McKinney on the 10-day disabled list. Left shoulder sprain. March 30, 2018 New York Yankees recalled RF Billy McKinney from Scranton/Wilkes-Barre RailRiders. March 21, 2018 New York Yankees optioned RF Billy McKinney to Scranton/Wilkes-Barre RailRiders. November 20, 2017 New York Yankees selected the contract of Billy McKinney from Scranton/Wilkes-Barre RailRiders. October 9, 2017 1B Billy McKinney assigned to Scottsdale Scorpions. July 1, 2017 RF Billy McKinney assigned to Scranton/Wilkes-Barre RailRiders from Trenton Thunder. June 30, 2017 RF Billy McKinney assigned to Scranton/Wilkes-Barre RailRiders. February 20, 2017 New York Yankees invited non-roster OF Billy McKinney to spring training. July 25, 2016 RF Billy McKinney assigned to Trenton Thunder. March 14, 2016 RF Billy McKinney assigned to Chicago Cubs. September 29, 2015 Tennessee Smokies activated RF Billy McKinney from the 7-day disabled list. August 15, 2015 Tennessee Smokies placed RF Billy McKinney on the 7-day disabled list. May 14, 2015 RF Billy McKinney assigned to Tennessee Smokies from Myrtle Beach Pelicans. March 5, 2015 OF Billy McKinney assigned to Chicago Cubs. July 6, 2014 Billy McKinney assigned to Daytona Cubs. March 31, 2014 CF Billy McKinney assigned to Stockton Ports from Vermont Lake Monsters. 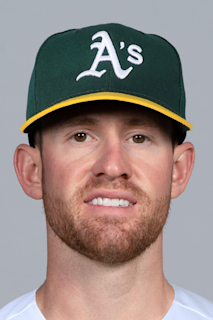 February 26, 2014 CF Billy McKinney assigned to Oakland Athletics. August 28, 2013 CF Billy McKinney assigned to Vermont Lake Monsters from AZL Athletics. June 20, 2013 Billy McKinney assigned to AZL Athletics. June 14, 2013 Oakland Athletics signed CF Billy McKinney.